Do you take time for yourself each day? Time for reading a book, doing a hobby or just enjoying a moment? PHILADELPHIA Cream Cheese has challenged me to enjoy 100 days of afternoon delight, by taking a moment to enjoy something sweet! Ummm, if you know me I am quite competitive. And I take challenges seriously! This is definitely a challenge where I can succeed! Now that summer is nearing, I love sitting on my back porch with an iced coffee and a sweet treat while reading a good book. My kids are usually all hanging out with friends, so this time is my own. 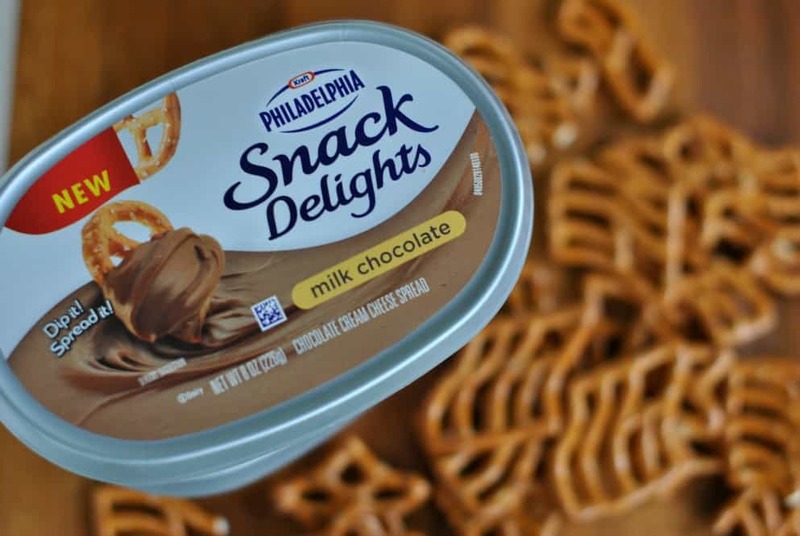 Have you tried the new Snack Delights by PHILADELPHIA? They are perfect for dipping! The consistency is smooth and creamy, and delicious. So far I have tried the milk chocolate, dark chocolate and white chocolate. I need to get my hands on the caramel and the cinnamon versions soon! 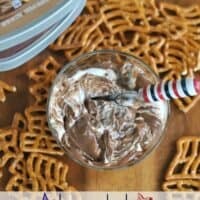 Today, I have a snack idea for you using the Milk Chocolate Snack Delights. And yes, you are two ingredients away from having a delicious treat to enjoy by yourself or with friends and family (maybe bring to a BBQ this weekend for Memorial Day). By mixing in some marshmallow creme I couldn’t believe how easy and tasty this turned out. It seriously tastes like chocolate cheesecake s’mores! Try dipping pretzels, graham sticks, apples, strawberries…the dippers are endless! Connect with PHILADELPHIA for more tasty ideas! Add cream cheese to a bowl and swirl the marshmallow using a knife. 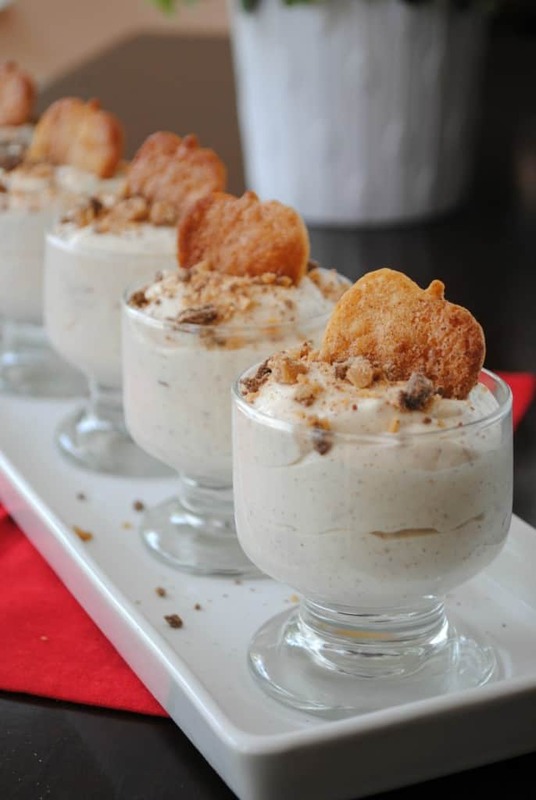 Serve with pretzels, fruit or graham sticks. ENJOY! 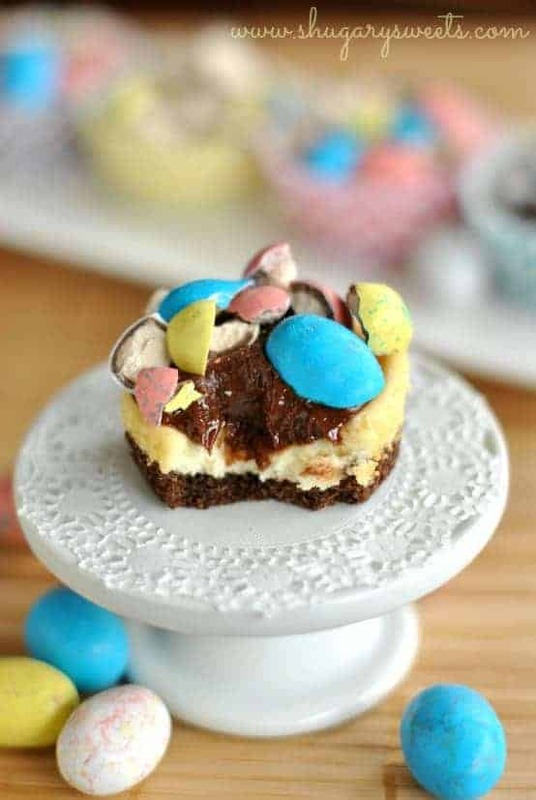 For Easter I made these cute Malt Ball Mini Cheesecakes. You could just use Whoppers this time of year. They are delicious and perfect thanks to PHILADELPHIA Cream Cheese! 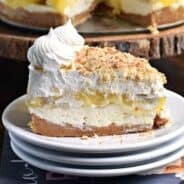 These No Bake Apple Pie Cheesecakes are a perfect summer treat. No oven required! **I have been selected by Kraft Foods to be an ambassador for PHILADELPHIA cream cheese. While I have been compensated for my time, my opinions are my own. I love simple recipes. And marshmallow fulff. And all of the above. I have heard of this product – it’s new right? I’m sure it’s tasty on its own but anything with fluff is a win in my book! Oh my!! This is like the most perfect delight for a snack! Haven’t seen it in my little market yet…but I’ll be watching out for it! Pinning! Have a great weekend, Aimee! Awesome! 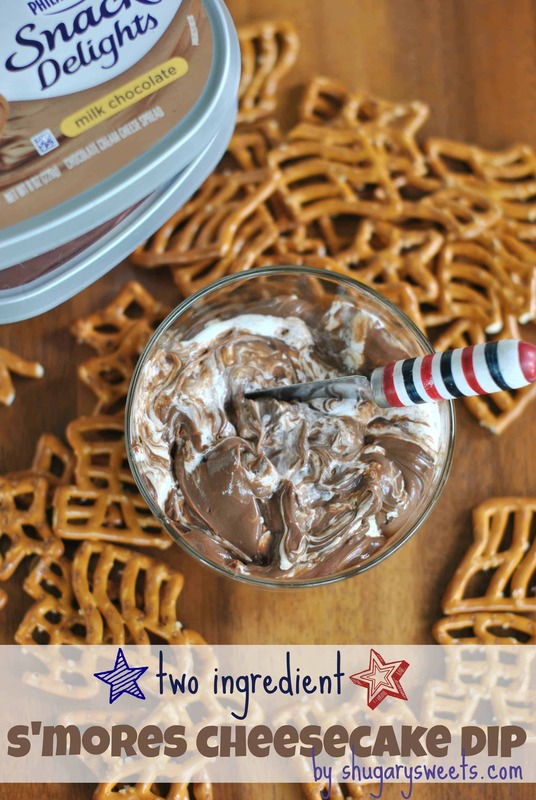 I love all things with s’mores – I’ve even seen this chocolate cream cheese and been tempted to buy it… although I didn’t know what I’d do with it. Now I know! Yumo! I looooove that cream cheese. SO much! I need to get my hands on some of that cream cheese asap! Love this dip! oh my gosh! sounds so good and simple. yum! Eeek, how yummy does this look!! So gooey and totally easy for this Memorial Day weekend. Oh, my stars… I want to dive right in! This would be very dangerous for me! I’d probably eat half myself with graham crackers, fruit, or whatever I could find to dip in there. Maybe just my finger! Oh my gosh! I can’t wait to try this. I will look for it in the grocery store next time I’m in. Only 2 ingredients?!? Oh my gosh. Whoa, 2 ingredients? That looks like an awesome dip for parties. I wonder what other flavor combos you could try! 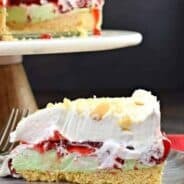 This is so creative AND easy – the best kind of recipes! Oh yum! I love how simple, but totally delicious this looks! Oh my goodness, Aimee! This looks fabulous! I could probably eat the entire thing by myself. Very dangerous! I saw those in the grocery store and actually thought about making a dip with them! 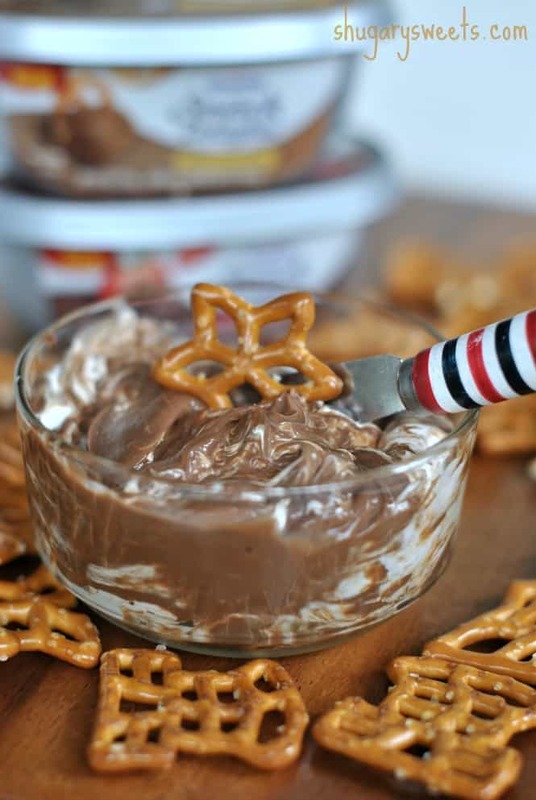 S’mores dip sounds so good, and so easy! I’m bummed I haven’t found the Philly Snack Delights in my grocery store yet. I’ve been wanting to try. And LOVE that this recipe is SO easy! Cream cheese and fluff? Add some pb and I might die. 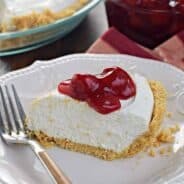 Remember a while back on one of the recipe sites — that it said that Creme and Fluff were different — which one did you use? Hmmm, Marshmallow Cream is just another name for Fluff. Comes in a jar!